While it is generally not recommended, you may want to exclude certain files or websites from scanning to speed up your scans or to avoid false positive detections. 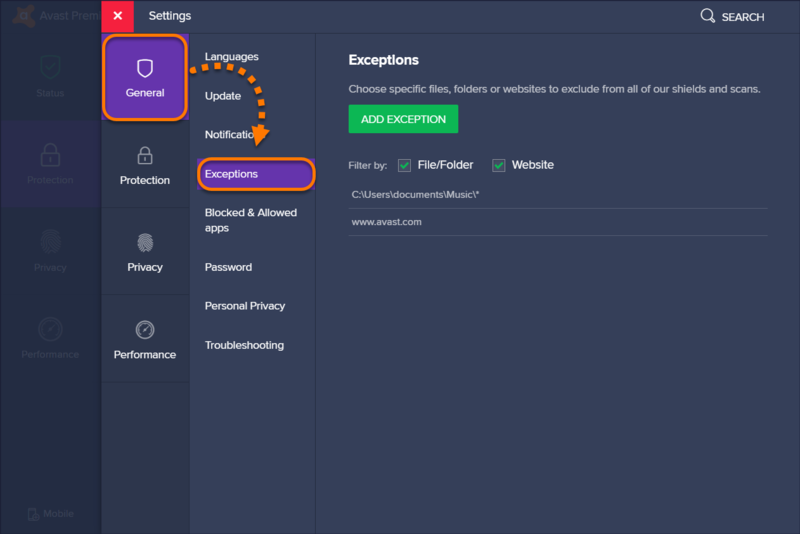 Setting global exceptions excludes individual files, entire folders, and websites from all scans and shields at once. Scans and Shields analyze all file, application, and web activity in real-time. 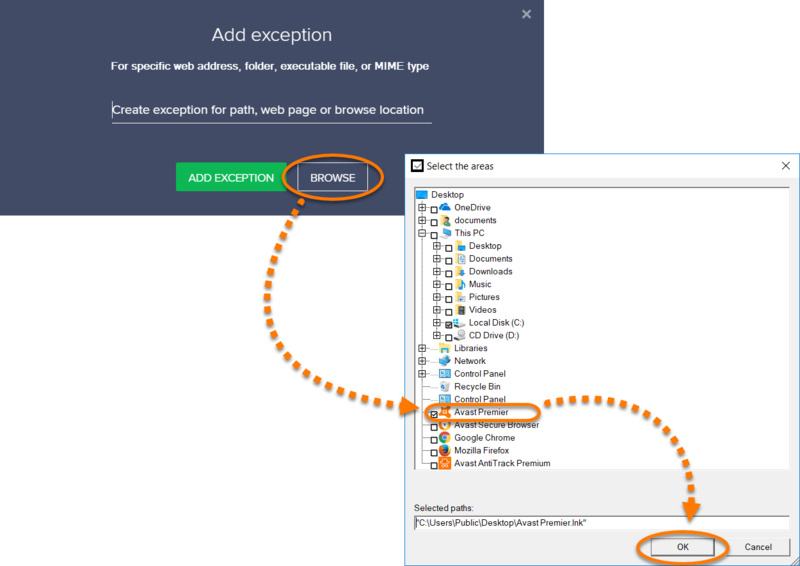 Your selected file, folder, or URL is added to the exceptions list. 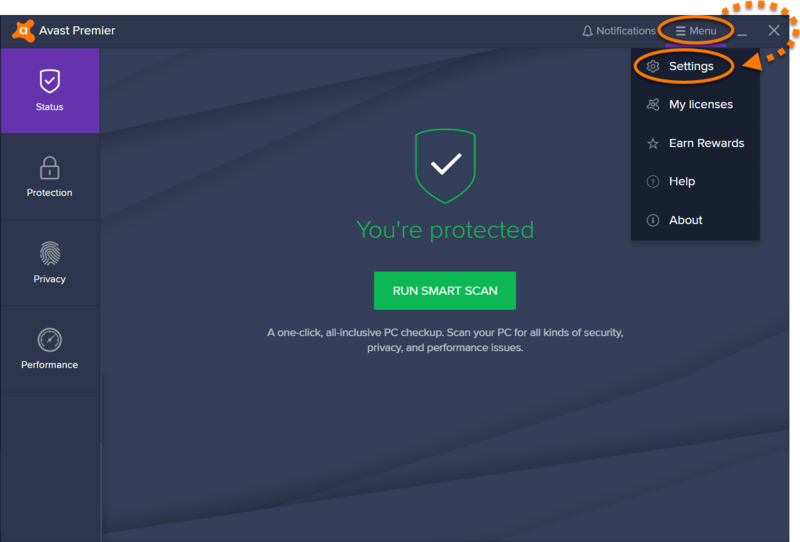 Open the Avast Antivirus user interface and select ☰ Menu ▸ Settings. Ensure the General tab is selected, then click Exceptions. 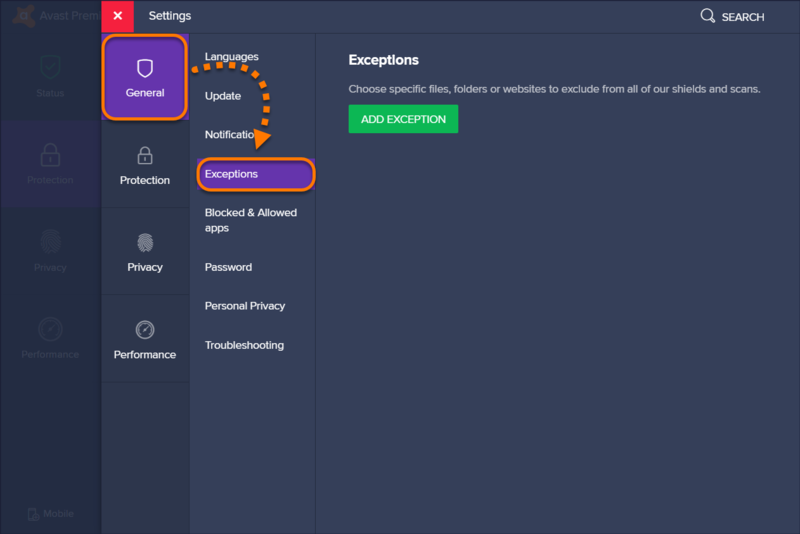 From the main Avast Antivirus user interface, go to ☰ Menu ▸ Settings. Ensure the boxes next to File/Folder and Website are ticked to see all exceptions in the list. The Exceptions list is visible below these filters. To delete an item from the list, hover the cursor over the panel for the exception you want to delete, then click the trash icon. The list will update automatically. The complete Exceptions list is now visible.